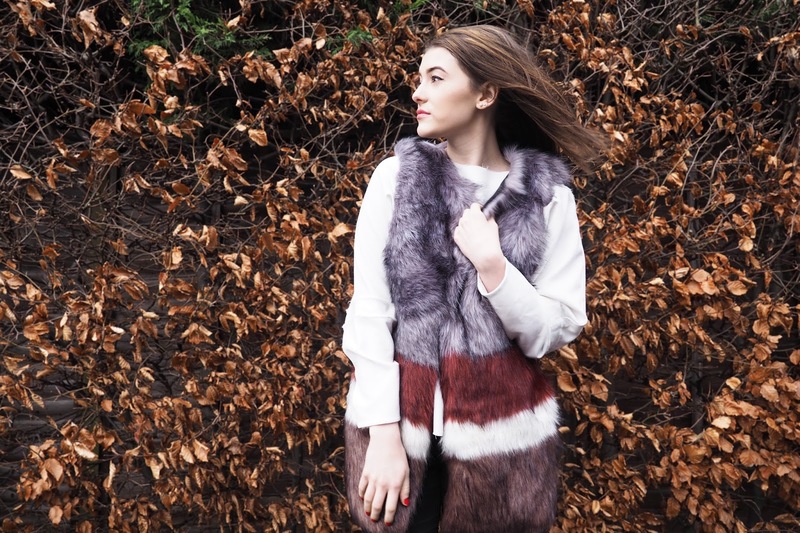 There's something about faux fur that I just can't resist - evident in my overflowing rail of furry coats, jackets, scarves and more. 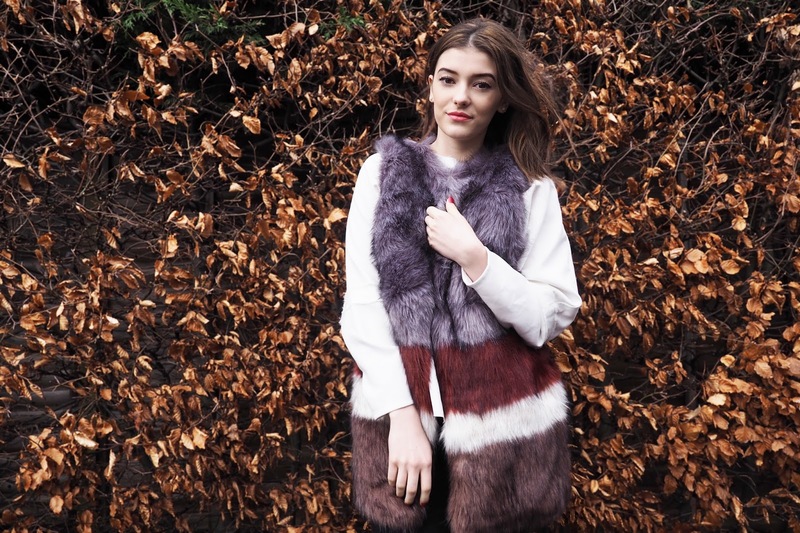 But this gilet in particular caught my eye the moment it appeared on ASOS. First of all, the colour palette is just bladdy stunning, featuring pretty much all of my fave colours in one. 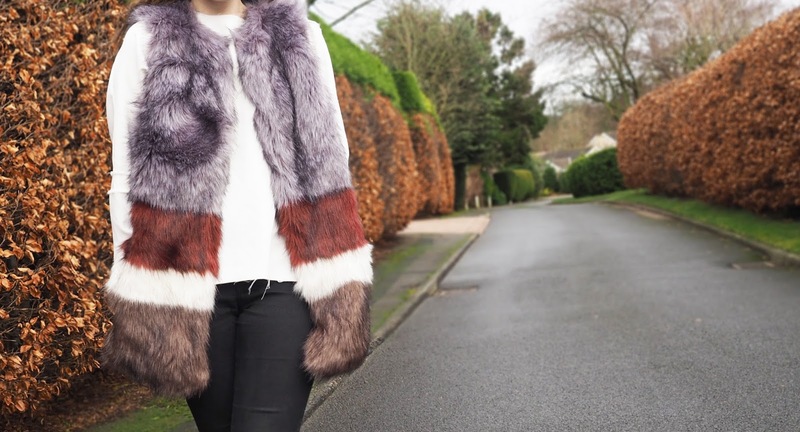 But, paired with some sassy patent boots that match the berry shade of the gilet almost perfectly? It's my dream combo. I'm still waiting on warmer weather so I can rock this baby again (please note: these photos were taken just after Christmas, which was surprisingly around 8 degrees warmer than the snow-covered land that now surrounds me). But until that day comes - if ever - I'll just have to shove it over the top of some chunky knitwear and thermals. 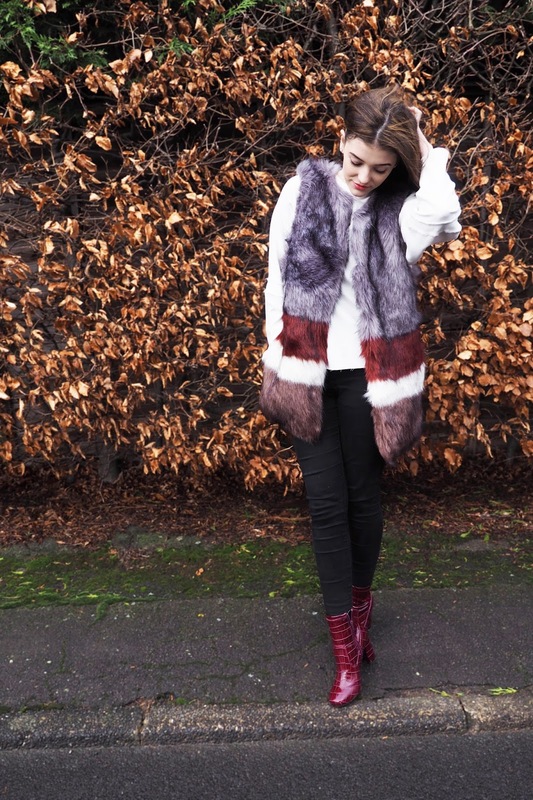 You can definitely never go wrong with faux fur, and this piece is so lovely! 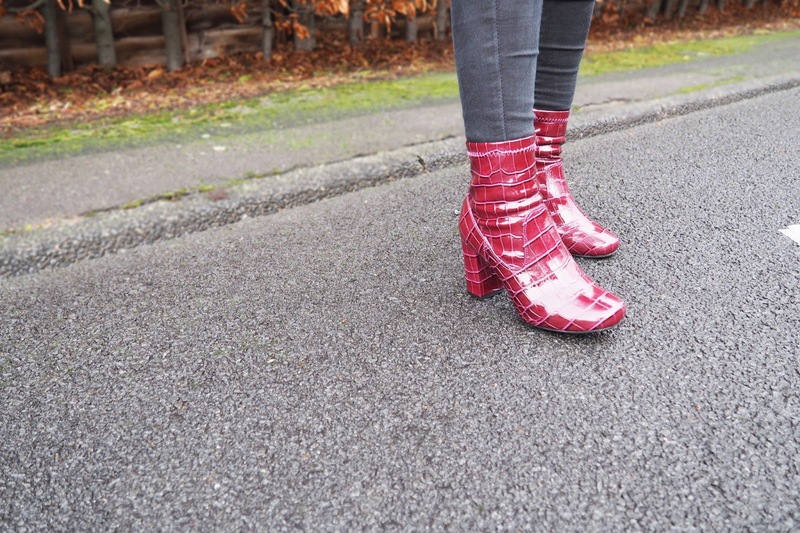 The boots are really great as well, I love the pop of color! Couldn't agree more haha, thank you! 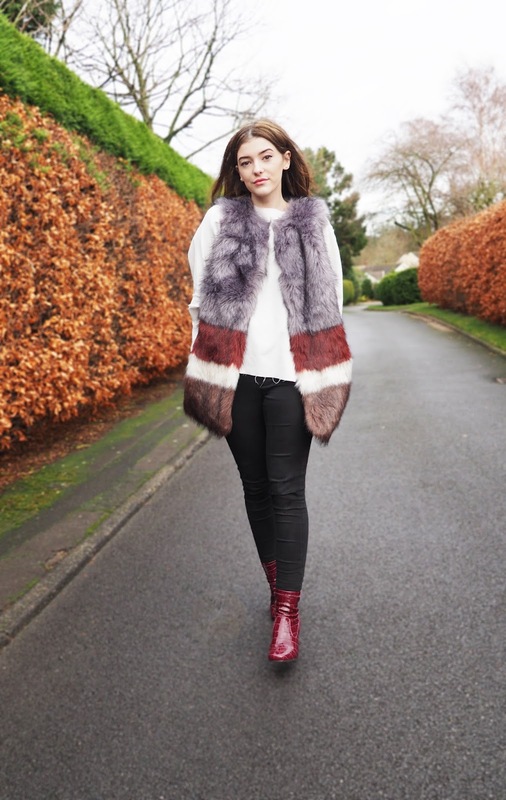 This suits you so much, and those boots are gorgeous!! Aw that's so sweet, thanks lovely!